Some travelers just want to relax when they are on vacation, while others can’t wait to get the party started and hope it lasts until check out. Last month, AMResorts opened the doors of the ultra-modern Breathless Riviera Cancun, an adults-only, luxury resort that caters to such a party crowd. 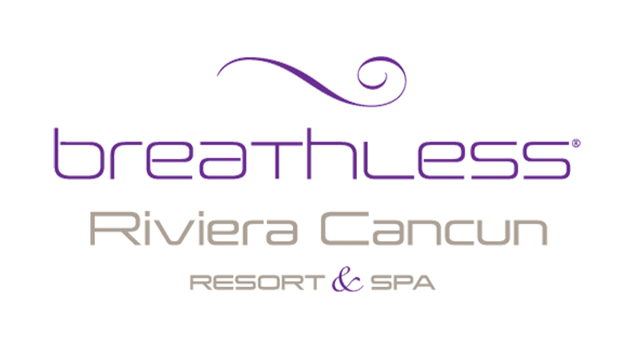 Breathless Riviera Cancun is part of the AM Resorts brands that also includes Breathless locations in Cabos San Lucas, Playa Del Carmen, Montego Bay, and Punta Cana. Breathless Riviera Cancun has 526 suites and the party-goer can match the accommodations to their party style. For example, the xhale club suites are about celebrating and pampering and are equipped with a private pool and Jacuzzi. The Party Zone suites keep the festivities going all night long with DJs, a 35-person Jacuzzi and unlimited beer, wine, spirits and soft drinks at the bars and lounges. Each month, the resort hosts an extensive calendar of themed events, but guests can also enjoy their own celebrations as well. Breathless Riviera Cancun offers a Birthday Bash that includes a multi-course dinner with birthday cake, pre-dinner drinks, late night snacks, a reserved beach spot, a late night in-room party and more. The birthday girl or guy is treated to a 25-minute massage and receives a gift. The resort also takes a photo as a birthday memento. There are a variety of other 24-hour activities guests can participate in, including tennis, beach volleyball, pool tables, aerobics, and dance and Spanish classes. You can watch movies on the beach or jump in the water and enjoy water aerobics, kayaking, windsurfing and snorkeling. 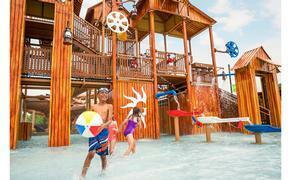 Golf, horseback riding and fishing are also available for an extra fee. After all that partying, there are 10 dining options — six à la carte restaurants, a tapas option, one buffet, a grill on the beach and a café to choose from. Breathless Riviera Cancun also caters to those who are in love. If you’re ready to walk down the aisle, the resort offers bachelorette party packages. Treat the ladies to a spa day, which includes a mani/pedi, 25-minute massage and hydrotherapy and relaxation, a late night in-room party, reserved spot on the beach and a fun Bachelorette Scavenger Hunt. Couples can also have their big day at the resort with an adults-only wedding. The wedding day includes food, unlimited beer, wine and spirits, soft drinks, daytime activities, and more. Couples can also return to the resort to celebrate their anniversary and renew their vows. On the corporate side, the resort includes a convention center with four flexible rooms that total 9,000 square feet of meeting space, so you can have a get-together about all that partying you’re about to do.